From the Space Needle again. 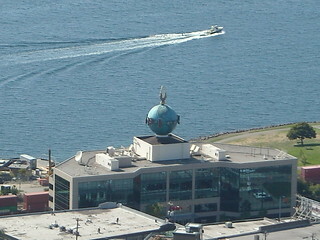 That building is the home of the Seattle Post-Intelligencer, one of two newspapers in Seattle. 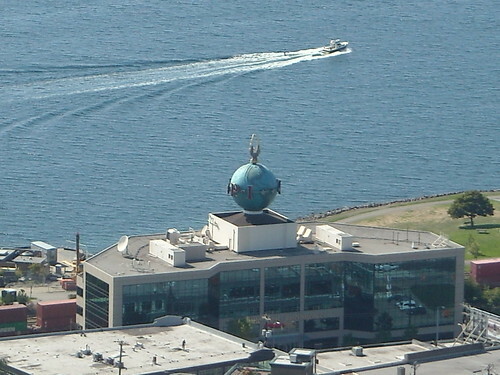 It's famous for the rotating globe on top of the building, so I had to snap a photo of it!